We're not your typical tech school. 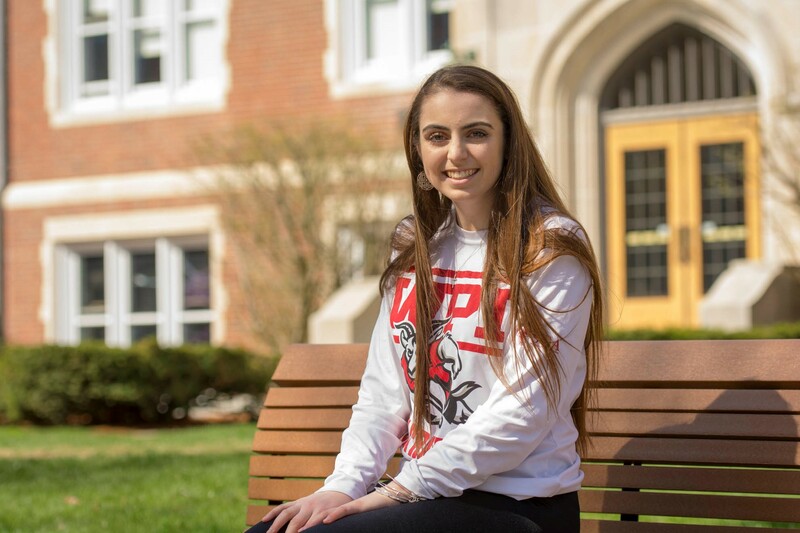 While there is a rigorous academic curriculum at WPI, we believe your experiences outside the classroom play an equally important role in helping you learn, grow, and succeed. You’ll become a member of a close-knit, inclusive, and safe community with a robust support system ready to help––academically, emotionally, physically, and culturally. 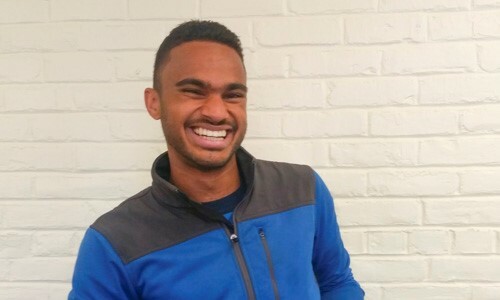 Along the way, you’ll learn more about yourself and others, connect with new people, pursue both long-term passions and new interests, hone leadership skills, give back to the community, gain real-world experience––and have fun. Discover why the student experience at WPI is a transformative one––one that prepares you to make your mark in the world. 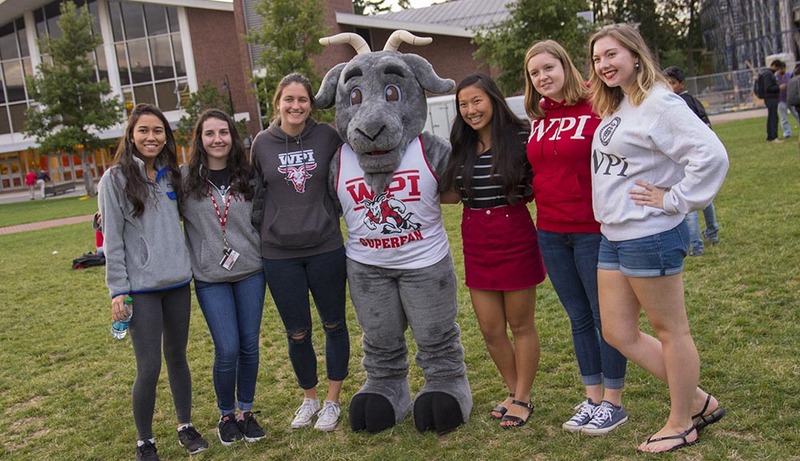 One of only two goat mascots in the country, Gompei is the physical embodiment of WPI’s quirky and unique identity. WPI's nationally ranked Pep Band is just one of the more than 200 student clubs and organizations available on campus. Students enjoy a quick meal at the Campus Center. WPI’s varsity football team takes on rival RPI during a homecoming game. First year students cross Earle Bridge to receive their Tech Beanie and Tech Bible to mark the start of their years at WPI. At WPI, you can pursue your technological interests and your passion for theatre. After working all year on the Major Qualifying Project, seniors get to show off their hard work on Project Presentation Day. On Founders’ Day, students can enjoy a break between classes with Gompei and friends. Companies from across the country come to the Career Fair to meet and recruit key talent from all WPI disciplines. The pool tables in the Campus Center are a fun way to kick back in between classes. Even Gompei needs a sweater to keep warm in the winter. The Activities Fair is a great way to learn about the 200 or so different clubs and organizations on campus. The Black Student Union dances and destresses with a professional hip-hop and AfroBeat dancer/choreographer on the quad. At WPI, health and well-being represent important parts of our campus culture--and the student experience. 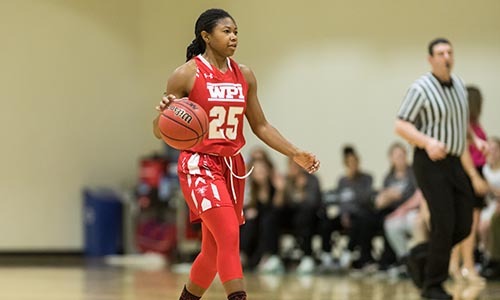 From basketball and rowing to soccer and softball, WPI's varsity sports program provides many opportunities for students to pursue their physical pursuits. 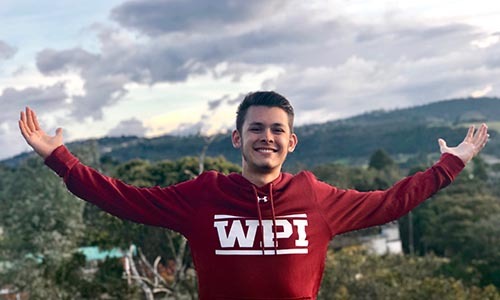 A sophomore finds his purpose, thanks to his faculty mentors and his engagement with the WPI campus community. 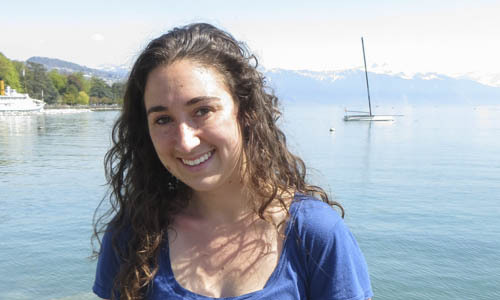 A PhD materials science and engineering student, Caitlin hopes to inspire others by showing the value of hard work in the classroom and on the field.